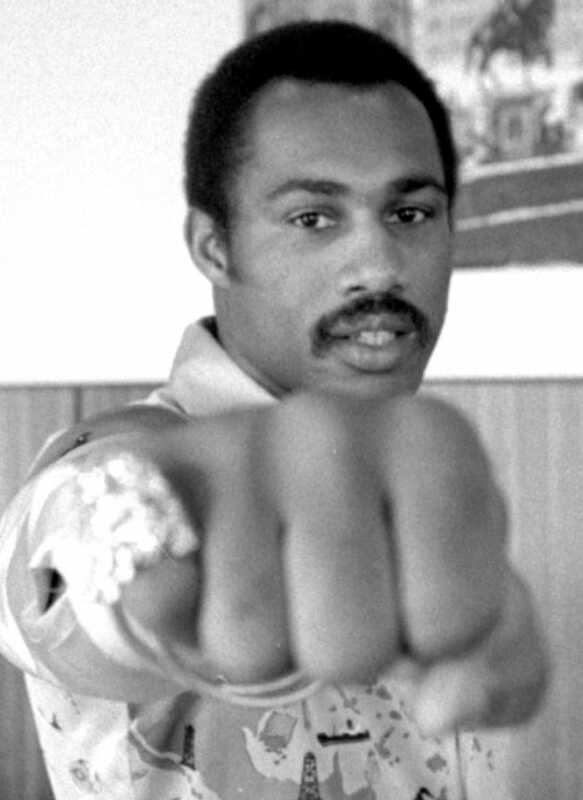 Ken Norton, a great athlete and formidable heavyweight boxer, is dead. He was 70. Here's a nice tribute by Hamilton Nolan. In March of 1973 Ken Norton fought Muhammad Ali in San Diego. He had a 29-1 career record but the fight, broadcast on ABC on a Saturday afternoon, was sure to go to Ali. Before the end of the second round, however, Norton had broken Ali's jaw. The fight went 12 rounds and Norton was awarded a split decision. Howard Cosell called the fight, of course, and predicted that Ali would win. "Kenny," he said to Norton in the post-fight interview, "you made me look silly." "That's all right, Howard," Norton said. "You always look silly." Here's SI's story on the fight. Later that year the two men fought again and this time Ali won a split decision. "Ken Norton is the best man I've ever fought," said Ali after the fight. "He's better than Joe Frazier, Jerry Quarry, Sonny Liston—all of them." Their third fight was a few years later in September of 1976 at Yankee Stadium. It'd be the last boxing match at Yankee Stadium II. As fate would have it, the bout was scheduled in the midst of a job action by the NYPD, and the only visible police presence inside or outside the stadium were those walking picket lines, and chaos reigned. Pickpockets and small-time hoods operated with virtual impunity; the Times' Pulitzer Prize-winning columnist Red Smith wondered the next morning what the fellow who stole his wallet would buy with his Brooks Brothers charge card—and several scribes on their way through the press gate had their tickets ripped right out of their hends by brazen thieves despite the presences of picketing cops just a few feet away. And on this night the robbery was by no means the exclusive province of the purse-snatchers. In several otherwise close rounds Ali staged showy flurries just before the bell in the hope that that was what the judges would remember, and he appears to have gauged their response accurately. Although their third fight only produced the only unanimous decision of the Ali-Norton trilogy, the bout was in many respects even closer than the two split decisions had been: Mercante, the referee, had Ali up 8-6 with a round even, with Harold Lederman and Barney Smith both scored it 8-7. Switching just one round (and there were many extremely close ones) on the judges' cards would have titled the decision to Norton. At most of Ali's bouts for the previous decade he had enjoyed the support of the crowd, but the audience seemed almost divided in its loyalties. Given the pervasive atmosphere of danger hanging over the ballpark that night, it occurred to me that ringside probably wasn't going to be a great place to be sitting when the verdict was read; I'd already begun to see my way toward safety as the 15th round played out. Norton, wrote Kimball, was sadly not remembered for three tough fights against Ali but as the only heavyweight in the annals of boxing history to lose all three title bouts (Ali, Foreman, Holmes). Let's take this moment to remember him as the impressive fighter that he was.